If you’re looking for a home remodeling firm in Richmond, Kentucky, contact Thomas Quality Construction. We have been able to grow and establish ourselves in the Richmond area by consistently providing professional remodeling services with the level of quality and trust our customers expect and deserve. Remodeling your current home to meet the needs of your lifestyle can often be more cost effective than moving. Whether you need more common family area space, more space for entertaining or perhaps a new master bedroom suite, the possibilities are endless. Thomas Quality Construction specializes in turning homes into dream homes. The majority of your life is spent in your home. It’s where you gather with loved ones, unwind after a long day and raise your family. The special moments of your life unfold in your home. So, doesn’t it deserve to be perfect? Our home remodeling specialists at Thomas Quality Construction can help turn your ideas into reality. No matter the size of your space or layout of your property, we have the skills to make your home more functional and aesthetically pleasing. From initial concept to the finished product, Thomas Quality construction handles every step of your project. Our team of specialists have years of experience working in home remodeling. When you work with Thomas Quality Construction, you’ll have a world of options from which to choose. From small renovations to complete overhauls, we’re equipped to handle all home remodeling projects. Thomas Quality Construction offers expert design advice, color consultations, visionary ideas, professional home remodeling services and complete home renovations. We’re 100% committed to incredible craftsmanship, creative vision and responsive service. Thomas Quality Construction has the experience and expertise that can turn your current residence into the dream home you have always wanted. With a tradition of fine craftsmanship and construction, we provide Richmond, Kentucky homeowners a wide array of home remodeling and renovation services. We offer services needed for all types, ages and sizes of home remodeling projects. We’re always happy to answer your questions and our attention to detail ensures that your project runs smoothly. Remodeling your home is an exciting adventure. Our goal at Thomas Quality Construction is to make your home remodeling process as simple and easy as possible. We try to minimize disruption to your living space and your life, so that you can enjoy the changes we’re making to your home. We communicate frequently with our clients, setting and sticking to budgets and timelines, while respecting our clients’ time and needs. Our team at Thomas Quality Construction is aware of homeowners’ needs for cleanliness and privacy during remodeling. 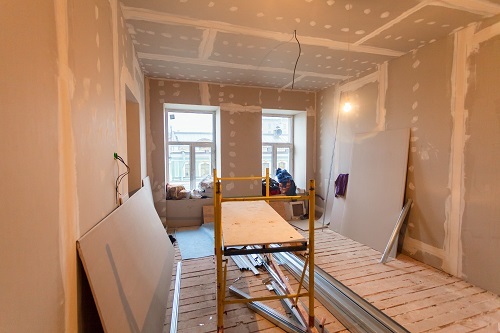 In remodeling, there are also hidden obstacles that are not revealed until the demolition of walls, roofs and floors is underway. Remodeling can be tricky, that’s why you can have complete confidence with the remodeling specialists at Thomas Quality Construction. From smaller renovations to complete overhauls, Thomas Quality Construction is equipped to handle it all. No matter how small or large your project is, we’ll always be ready and eager to provide a job well done. It’s our goal at Thomas Quality Construction to provide the highest quality home remodeling services possible.